There are a number of options for treating and managing endometriosis . These include medication, surgery, and lifestyle changes. There is a risk of persistence, despite treatment. There is also a risk of relapse after treatment. 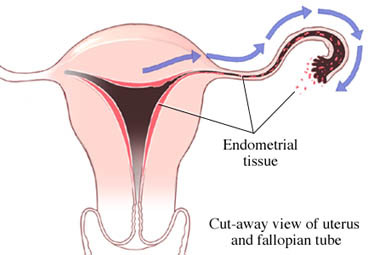 Endometriosis. EBSCO DynaMed Plus website. Available at: http://www.dynamed.com/resultlist/dmp~AN~T900174/Epilepsy-in-children?q=endometriosis&amp;filter=all . Updated September 26, 2016. Accessed October 4, 2016.